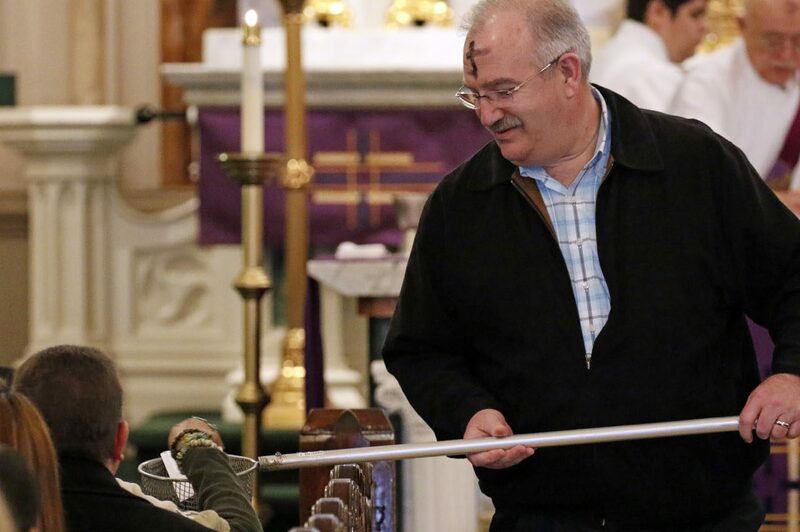 VATICAN CITY (CNS) — Catholics should use the season of Lent to look for signs and symptoms of being under the spell of false prophets and of living with cold, selfish and hateful hearts, Pope Francis said. Together with “the often bitter medicine of the truth,” the church — as mother and teacher — offers people “the soothing remedy of prayer, almsgiving and fasting,” the pope said in his message for Lent, which begins Feb. 14 for Latin-rite Catholics. The pope’s Lenten message, which was released at the Vatican Feb. 6, looked at Jesus’ apocalyptic discourse to the disciples on the Mount of Olives, warning them of the many signs and calamities that will signal the end of time and the coming of the son of man. Titled, “Because of the increase of evildoing, the love of many will grow cold” (Mt. 24:12), the papal message echoes Jesus’ caution against the external enemies of false prophets and deceit, and the internal dangers of selfishness, greed and a lack of love. “False prophets can also be ‘charlatans,’ who offer easy and immediate solutions to suffering that soon prove utterly useless,” he wrote. People can be trapped by the allure of drugs, “disposable relationships,” easy, but dishonest gains as well as “virtual,” but ultimately meaningless relationships, he wrote. “These swindlers, in peddling things that have no real value, rob people of all that is most precious: dignity, freedom and the ability to love,” the message said. Christians also need to look for any signs that their love for God and others has started to dim or grow cold, the pope said. Greed for money is a major red flag, he wrote, because it is the “root of all evil” and soon leads to a rejection of God and his peace. “All this leads to violence against anyone we think is a threat to our own ‘certainties’: the unborn child, the elderly and infirm, the migrant, the foreigner among us, or our neighbor who does not live up to our expectations,” the pope wrote. The polluted oceans unfortunately also become a burial ground for countless victims of forced migration and “the heavens, which in God’s plan, were created to sing his praises,” are slashed by machinery that rain down instruments of death, he wrote. The remedy for these ills can be strengthened during Lent with prayer, almsgiving and fasting, he wrote. Praying more enables “our hearts to root out our secret lies and forms of self-deception, and then to find the consolation God offers,” he said in his message. “Almsgiving sets us free from greed and helps us to regard our neighbor as a brother or sister,” it said. Urging people to make charitable giving and assistance a genuine part of their everyday life, he asked that people look at every request for help as a request from God himself. Look at almsgiving as being part of God’s generous and providential plan, and helping his children in need. The pope also reminded people to take part in the “24 Hours for the Lord” initiative March 9-10 in which many dioceses will have at least one church open for 24 hours, offering eucharistic adoration and the sacrament of reconciliation.